This section covers deleting, suspending and creating additional Administrators. 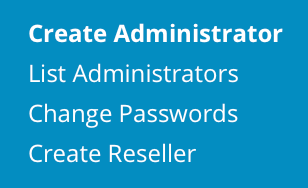 To access "Create Administrator" page, sign into the control panel and then click on the "Account Manager" icon, followed by the "Create Administrator" link. In this page you can see Admin creation form, you can also edit Admin message. Admin message will be shown to all new created administartors. 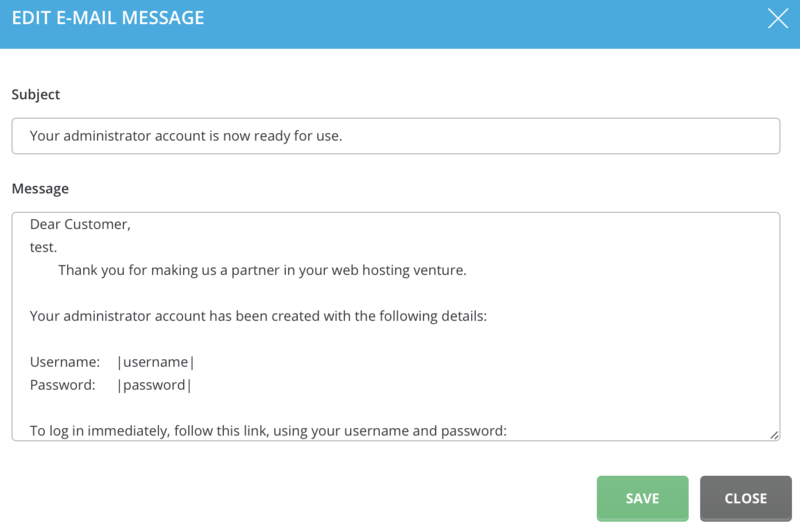 By default it will contain welcome message with login credentials in it, but you can customise your own message. In order to change Admin message, press "Edit Admin Message" button. Enter our desired Subject and Message. After you finish, press "Save" button. You can exit without making any changes,by pressing "Back" button. Important: To change the "From:" address of these welcome messages, access to the "User" level then return to the main menu and click on the "View More" button in "Your Account" section. From there you will see button. Enter the desired e-mail address and click "Save" button. In order to create new administrator, Enter desired Username, admin E-mail and password. You can also choose if you want send welcome messsage to newly created Admin. Tip: To create strong password, choose "Random" function. It will be hard to brute-force such password, also you won't need to know it yourself, guaranteeing complete client privacy. After entering desired credentials, press "Create" button. You will see success notification, and will be redirected to "List Administrators" Page. 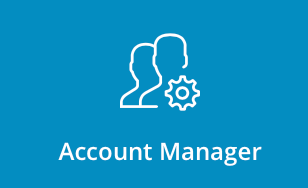 In order to modify administrators click on the "Account Manager" icon followed by "List administrators" link. To suspend an Admin, place a checkmark next to the Admin(s) you want to suspend and click the "Suspend" button. A suspended Admin cannot log into the control panel, create web sites, or access his/her own web site(s). In addition, all web sites created by that Admin (through his/her Reseller panel) will also become suspended. You may unsuspend admins by clicking "Unsuspend" button. Note: Resellers created by the Admin will not become suspended. To delete an Admin, place a checkmark next to the Admin(s) you want to delete and click the "Delete" button. When you delete an Admin, you are deleting his/her Admin account, web site, and Users created by that Admin through his/her Reseller panel. 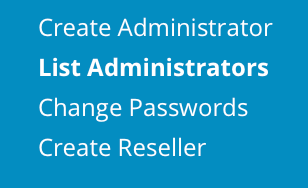 Note: Deleting an Admin will not delete the Resellers created by that Admin.